This story showcases multiple perspectives on the establishment of the first women's medical college in 1850. The sources give insight into the predominating expectations for women held by many Americans in the mid-1800s. This story highlights how some women defied those expectations and redefined their roles in society. The Female Medical College of Pennsylvania was established during a period in US history characterized by reform movements and advocacy for cultural change. This primary source set may be integrated into a larger unit on this era, as an example of the antebellum reform movement in action. It may also fit well into a course or unit examining the advancement of women's rights in the United States. Potential opening activity: Ask students to brainstorm the arguments for and against women physicians that might have been held by Americans in 1850. Return to these predictions later to compare their ideas to the arguments in the sources. Were there any surprising differences? Using evidence from the sources, have students work in groups to create a word map of the characteristics and duties of what the average American in 1850 would expect of an ideal woman. Then, using Dr. Hannah Longshore's autobiography and Ann Preston's letter, create a similar word map of how these early women physicians and medical students would describe themselves. Students may research a recent news story relating to gender equity in higher education or the professional world. How does this issue and the debate around it compare to the debate surrounding medical women in the 1850s? Their findings could take an essay form or be shared with other students in a presentation. How did the dominant culture's perceptions and expectations of women impact early medical women's experiences studying and practicing medicine? Was it important to establish a medical college for women instead of focusing on pushing for women’s inclusion in other medical schools? How might the single-gender environment have affected the success of the graduates? Are there still gender disparities in access to education and certain career paths? How are the debates around these issues similar to or different from the debate about women physicians in the 1850s? How has your gender influenced the opportunities that are available to you? What about other aspects of your identity? ​A Doctor or Doctress story about the harassment that female medical students faced from their male counterparts while attending a clinical lecture in 1869. The sources offer another way into the debate around women in medicine and provide an opportunity for additional primary source analysis. "Women as Physicians." A resolution of the Philadelphia County Medical Society, 20 March 1867, and Dr. Ann Preston's rebuttal, 4 May 1867. Accessed via Women Working, 1800-1930. Harvard University Library Open Collections Program. The Philadelphia County Medical Society passed a resolution in March 1867 forbidding its members from consulting with female practitioners or encouraging women to engage in the practice of medicine. The statement showcases many of the arguments against women in medicine held by many male doctors in the field. 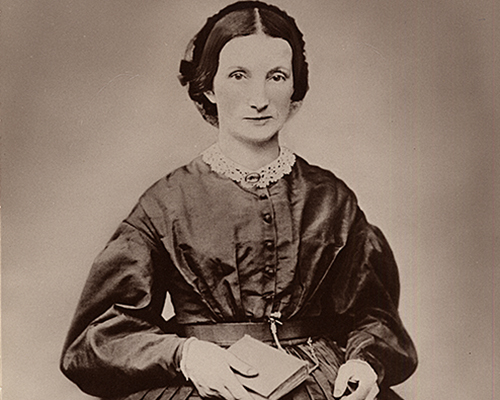 Dr. Ann Preston, one of the first graduates of the Woman's Medical College of Pennsylvania, published a response to their resolution, addressing each one of their arguments and making the case for the training and practice of women in medicine. "Women's Reform Movement." Ronald Walters. Teachinghistory.org. National History Education Clearinghouse. Accessed 1/31/2018. Essay evaluating common textbook narratives of women's participation in the antebellum reform movements. Contains some suggestions of commonly overlooked issues and individuals in this history for educators diving deeper into this topic with their class. "Women of the Antebellum Reform Movement." Curated by James Walsh. Digital Public Library of America. Accessed 1/31/2018. Primary source set highlighting women in leadership roles in the reform movements of the mid-nineteenth century, including women's education, mental health reform, and abolition.